Final Fantasy XV, the latest entry in the series developed by Square Enix, has been released a few months back on consoles in all regions, but Hajime Tabata and his team are hardly done with the game, getting the first major DLC packs ready for release. Today, the Final Fantasy XV director announced when the first additional story pack will be released in all regions. Today, it’s been confirmed that Final Fantasy XV Episode Gladiolus will release in all regions on March 28th. It’s also been confirmed that the second Episode DLC, Episode Prompto, will release sometime this June. All episodes will also include new explorable areas and weapons that can be carried over into the main game. There’s still a lot we don’t know about Episode Gladiolus, but we have managed to learn some interesting details last month. According to some Final Fantasy XV promotional material, Episode Gladiolus will feature the return of Gilgamesh. 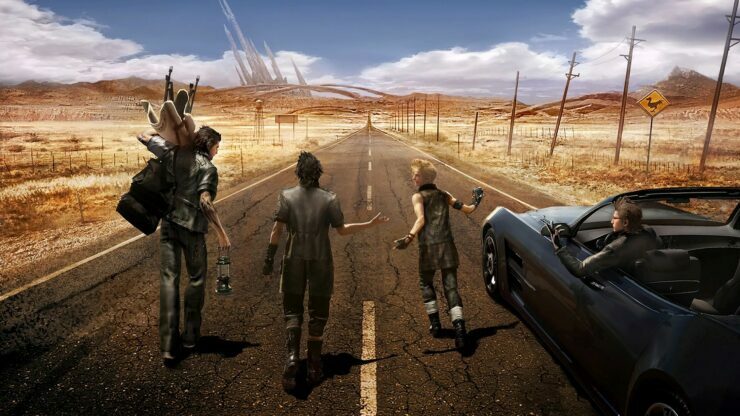 According to our own Chris, Final Fantasy XV is a true return to form for the series. While the main story is just passable, the four main characters and the world they live make the game a more than worthy play for any long time fan of the series. Final Fantasy XV is a true return to form for the series. The main story of the game is passable but surpassed by the fantastic tale of Noctis and his three friends, Gladiolus, Prompto, and Ignis. The world they live in, the interconnectivity and just how alive it feels makes for a great game, warts and all. Final Fantasy XV is now available in all regions for PlayStation 4 and Xbox One.